Rev. Canon Megan is currently Canon to the Ordinary in the Diocese of Arizona. Her husband Philip is a pediatrician at Phoenix Children's Hospital. They have been partners and best friends as well as parents. They have two children: Hannah who teaches high school in Tucson, and Benjamin, who is an engineer in Colorado. "It is with joy and gratitude that I accept your call to serve as the Eighth Bishop of the Diocese Northern California. I thank the Search, Transition and Standing Committees for their careful preparations and loving-kindness during these months. Dozens of your leaders put in sacrificial amounts of time and energy to help the Diocese arrive at a common mind in Christ. I am grateful. You are all - members, clergy and churches - very much in my prayers. Philip and I are excited to make our home with you in Northern California. This summer, by the grace of God, we will begin to practice the Jesus Movement together - in faith, reconciliation and service." "As one who deeply loves this Diocese, I am personally most grateful to all five candidates for their faithful participation in this very demanding process. By making themselves available to the Holy Spirit in this way, they have given us a great gift. May they all be blessed. I ask all the people of God to join me in praying God's blessing upon The Rev. Canon Megan Traquair, our Bishop-Elect. 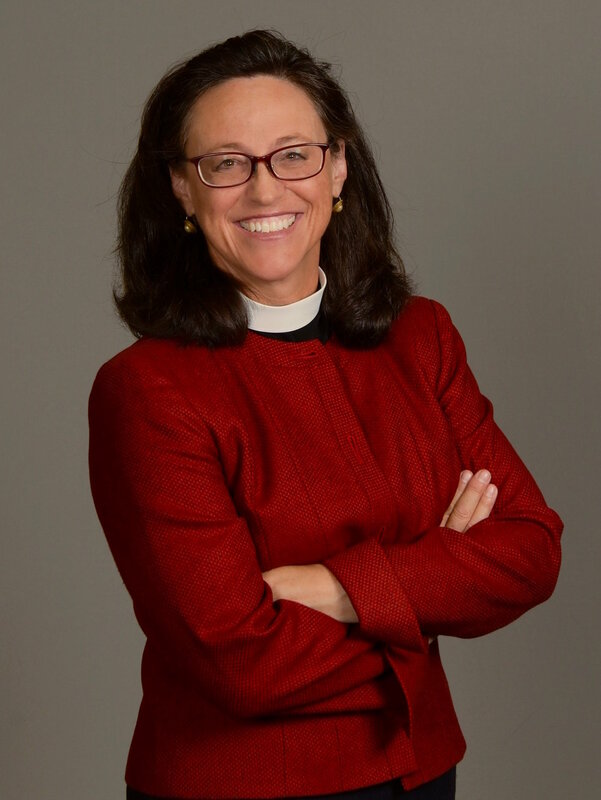 God strengthen and sustain her in this time of profound transition to new ministry, and to an exciting opportunity to serve our Lord in Northern California." O God, by your grace you have called us in this Diocese to a goodly fellowship of faith. Bless our Bishop, Barry L. Biesner, our Bishop-Elect, The Rev. Canon Megan Traquair, other clergy, and all our people. Grant that your Word may be truly preached and truly heard, your Sacraments faithfully administered and faithfully received. By your Spirit, fashion our lives according to the example of your Son, and grant that we may show the power of your love to all among whom we live; through Jesus Christ our Lord. Amen.